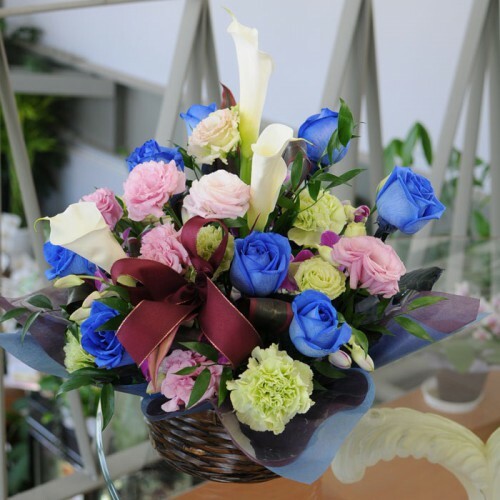 A Large Basket Arrangement with Blue roses and mixed flowers including White lily's, Carnations and Lisianthus. The mixed flowers may change due to seasonality but this will impress. Scented, colourful and eye catching this basket is expertly arranged by our flower shop to the highest standard.